Great view. Friendly service. Spacious rooms. 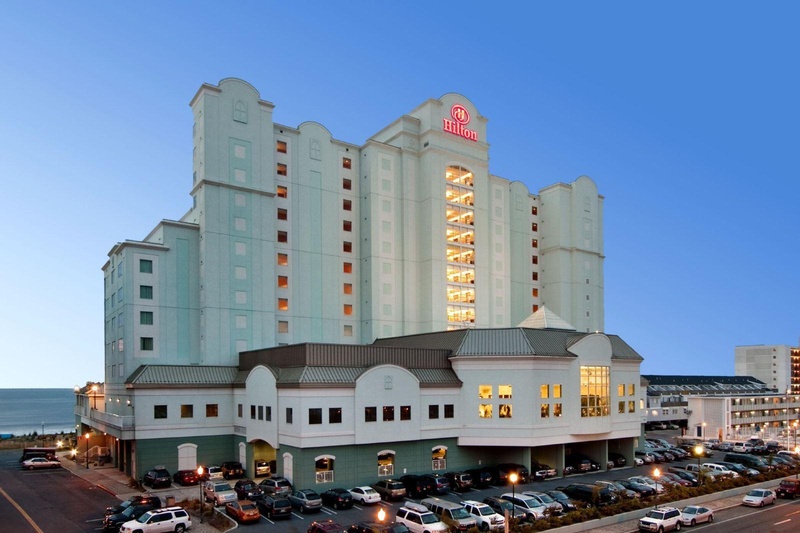 Unwind at Hilton Suites Ocean City Oceanfront hotel and admire breathtaking sea views and 10 miles of spectacular, white sand beach. 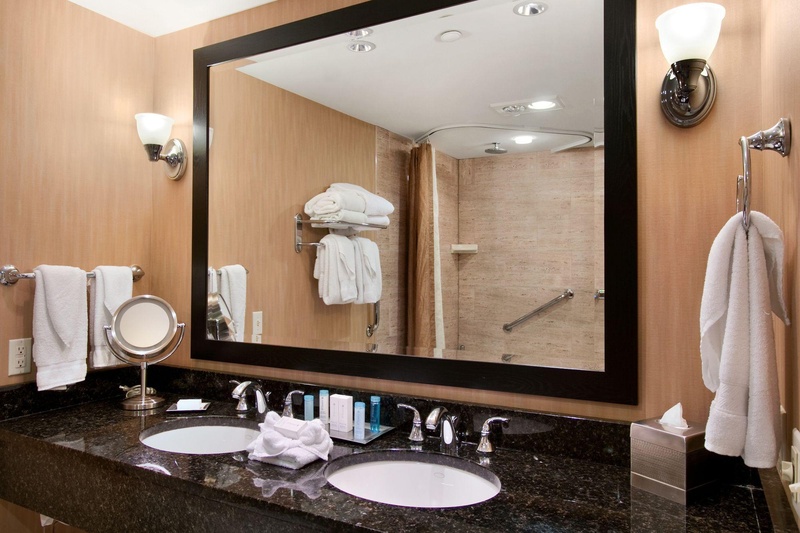 Situated just minutes form Ocean City's three mile boardwalk, this all-Suite hotel offers 225 oceanfront Suites, boasting spacious separate living areas, whirlpool tubs, two flat screen TVs and large open balconies presenting stunning panoramas of the Atlantic Ocean. 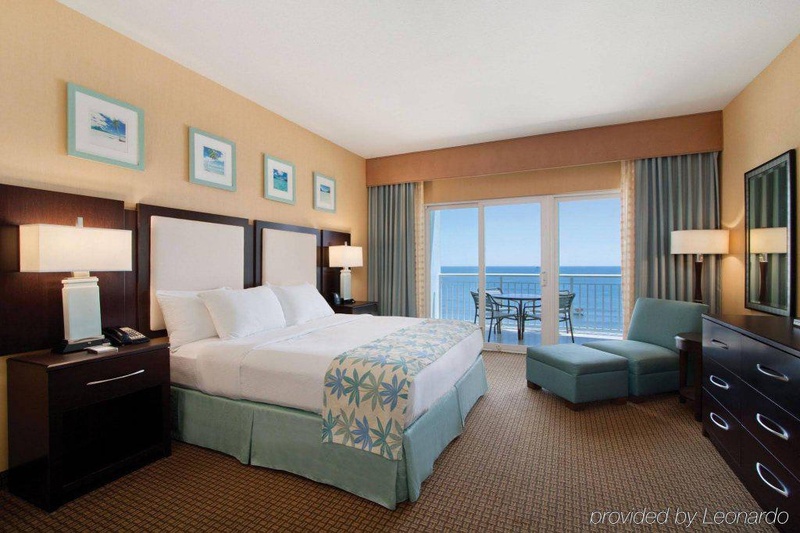 Voted AAA Four Diamond Award and the Trip Advisor Certificate of Excellence, this Ocean City hotel presents a number of great entertainment facilities including a large games room with video arcade machines. Plunge into the large adult pool and relax with a cool drink from Manana Mode swim-up bar while the kids splash around in the children's activity pool offering zero depth entry, waterslides and a lazy river. 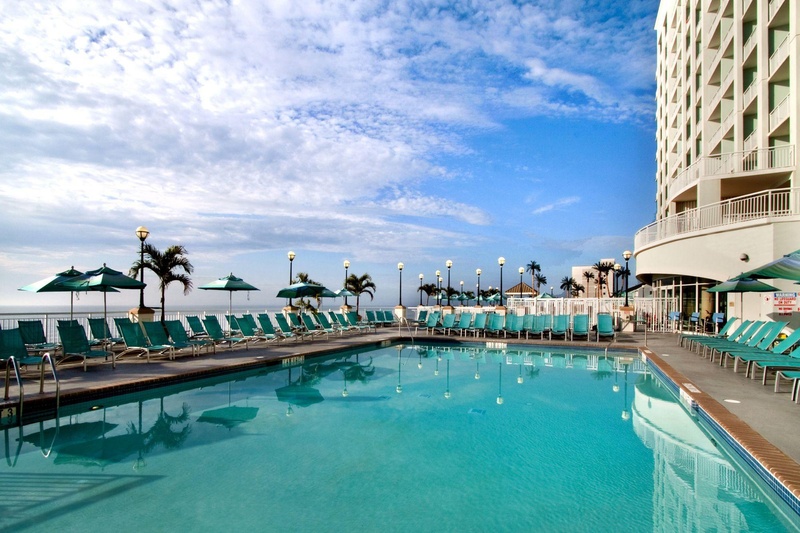 Unwind with light meals on the sun deck or savor delicious Western Caribbean delights at their Ocean City restaurant 32 Palm. 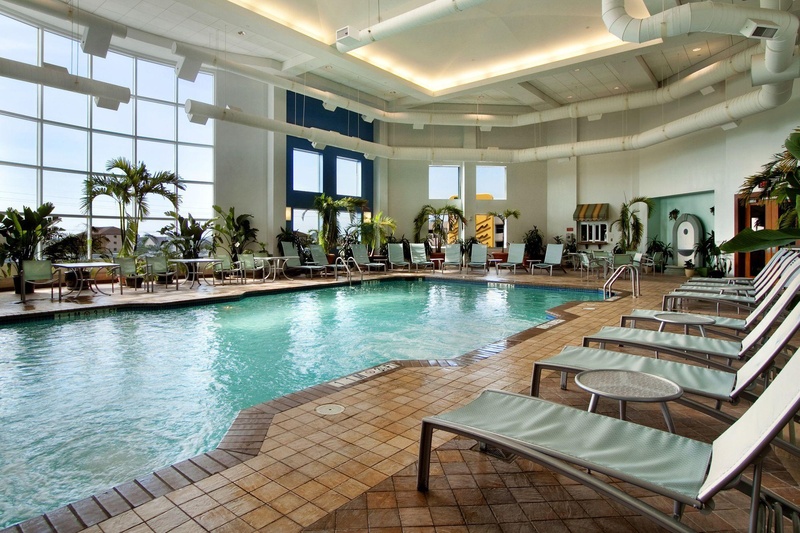 Swim lengths in the indoor pool and stay active in the modern fitness center. Make the most if a comfortable and professional setting from where you can catch up on work in the fully-equipped business center. 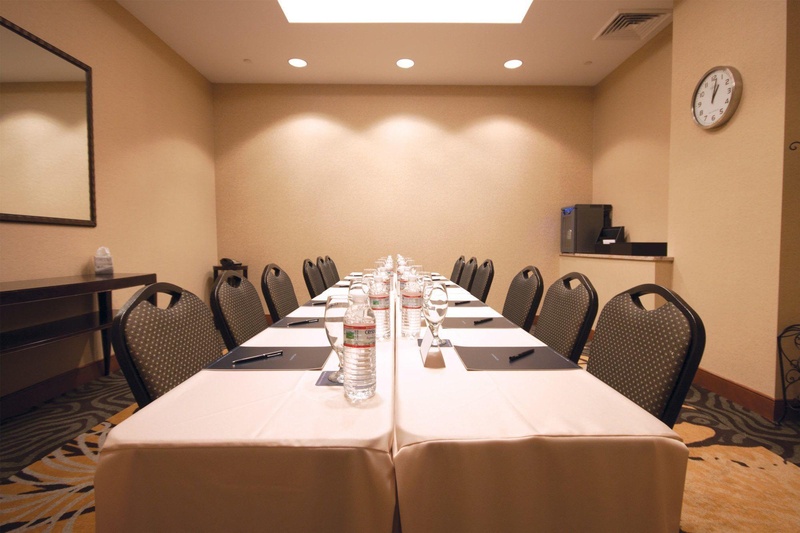 Host your special occasion, dream wedding or corporate event at this Ocean City hotel offering meeting spaces for up to 100 guests. They have a star bucks. Excellent location. There is plenty of parking. Excellent family hotel. Close to the beach with easily accessible parking. Great room. Attentive staff. Staff was excellent. Great room service. Full sized kitchen appliances. Large balcony. Bed was comfortable. Hotel room exceeded my expectations. Gorgeous view of the beach. Beautiful view from balcony. Including Antipasti. Plenty of fruit. Very little vegetarian options. Free morning coffee. Did not have complimentary breakfast. Paid for breakfast. Classy property. Bike rental right outside. No construction. Big whirlpool tub. Gym was small. No jacuzzi.